And yet – the news says the real estate market is heating up. The media is practically shouting again about multiple offers, high demand, and record-setting prices. The Charleston market is hot, let’s be honest. North Charleston, West Ashley, James Island… every neighborhood is seeing a reduced days on market. Too often we see over-improved properties – those where the owners have gone too far. Even with the best of intentions, exceptional craftsmanship and true artistic talent, it’s incredibly challenging to exceed what the market is paying. Plus, most buyers want to add their own custom touches. Get rid of all the clutter and think “neutral”. You might like the vibrant greens and blues on the walls but grays will sell much better. Don’t leave gaps in the trim or plates off of the switches. Get it inspected by a professional home inspector, and show off the healthy home report. This goes a long way towards establishing confidence that they’re making a solid purchase. You don’t want to fall out of escrow after a month long process because you have not inspired confidence in your buyer. 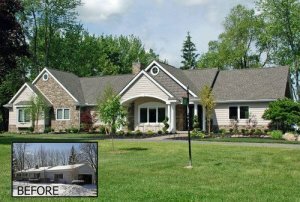 Curb appeal is as important as the inside – so don’t neglect one part of the property to improve the other. Give buyers a cohesive impression of great style. Paint the walls, update the landscaping, and most of all – keep it immaculately clean. Consider hiring a professional designer to help tastefully stage the property. Above all, if you only do one thing – keep the grass mowed and yard tidy. Spring time in Charleston means grass and weeds growing like crazy and nothing looks worse than an over grown property. There’s no magic formula – but there’s no substitute for experience. 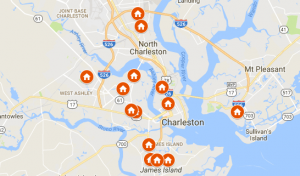 If you’re thinking, how can I sell my house faster in Charleston – you may want to consult D Gilpin Properties. We can take the 3-4 month average days on market down to a week! Give us a call anytime 843-800-2741 or fill out the form here today!